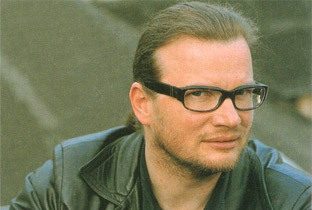 His music in the early 1990s was part of a hugely influential wave of German ambient music that hit Sydney. I remember buying up all the early releases religiously from Disco City, and, after missing a few – I ended up sending faxes direct to Namlook himself to subscribe to release as they came out. My fax machine would periodically spit out news of new albums and it would be off to send money to Frankfurt then wait at my post box in Leichhardt. This carried on for several years and I built a great catalogue of Fax releases. I became an early collector of Fax and made many friends through a shared interest in the remarkable breadth of Namlook’s releases. There was even talk of touring Namlook back when we were just starting up the Cryogenesis events in 1994/5. Anyone who heard Sub Bass Snarl sets in the chill out rooms between 1992 and 1995 at Punos and other events would have faded sonic memories of Air, Silence (with Dr Atmo), Dreamfish (with Mixmaster Morris), 2350 Broadway (with Tetsu Inoue) , Fires of Ork (with Biosphere) as well as Namlook’s various projects with Bill Laswell. I even managed to sneak the Fax-heavy 3Lux3 video mix onto the screens in the department store where I worked at the time – I’m not quite sure what shoppers thought of it all. Those two first Air and Silence albums are genuine ambient classics and hearing them even now triggers many of my most treasured memories of the best times in the 90s.